If you like a lot of dedicated buttons and manual controls at your fingertips, but don't want to spend the money for an interchangeable lens camera, the DMC-FZ60 will likely fit your hand like a glove. Its powerful 24X zoom, optical image stabilization and high light sensitivity all combine to give you tremendous flexibility for capturing attractive shots in most situations. As long as the disappointing burst modes won't trip you up, and you don't demand ultra-sharp video from your camera, this full-featured high zoom model should perform to your expectations Read more in our full conclusion. Replacing the Panasonic LUMIX DMC-FZ45, the DMC-FZ60 is the latest digital camera in Panasonic's FZ series for 2012. Including manual operation controls for taking pictures as well as recording high definition, 1080p video, the LUMIX FZ60 comes equipped with a powerful 24x optical zoom, in addition to a 16.1-Megapixel high sensitivity MOS sensor that uses the redesigned Venus Engine for processing both video and stills. In addition to the upgrades for the 2012 model, the Panasonic FZ60 has increased energy efficiency when it comes to battery life. This will allow consumers to take up to 450 pictures per charge with the standard battery. Regarding video, the camera records HD video at 60i in AVCHD as well as 30p in the MP4 format. The FZ60 digital camera also comes equipped with a HDR mode as well as a 3D mode to provide a variety of choices for photographers. 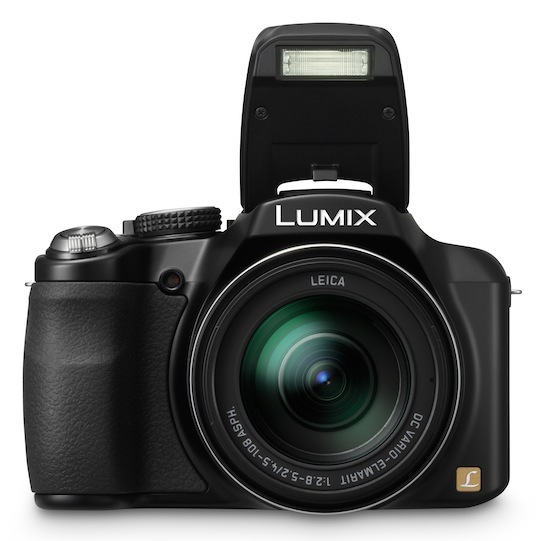 The Lumix DMC-FZ60 is available now with a suggested retail price of $349.99 USD. See our Lowest Price button at the top right for the current lowest price online.